Quickly connect and manage all of your K2 servers from a single interface. 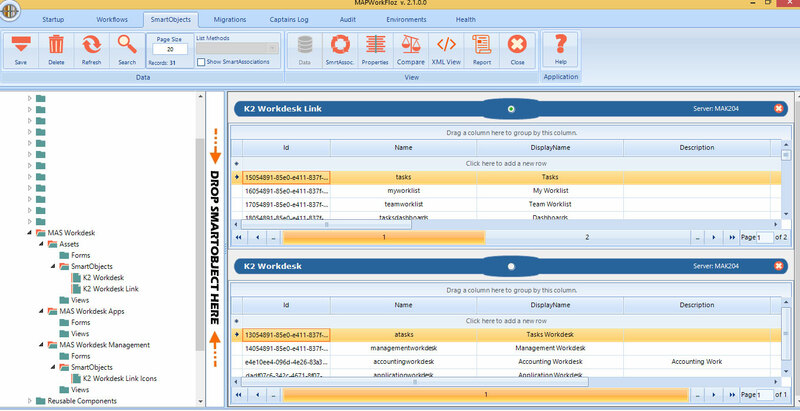 Document SmartObjects, track their changes and compare them with a side-by-side view. 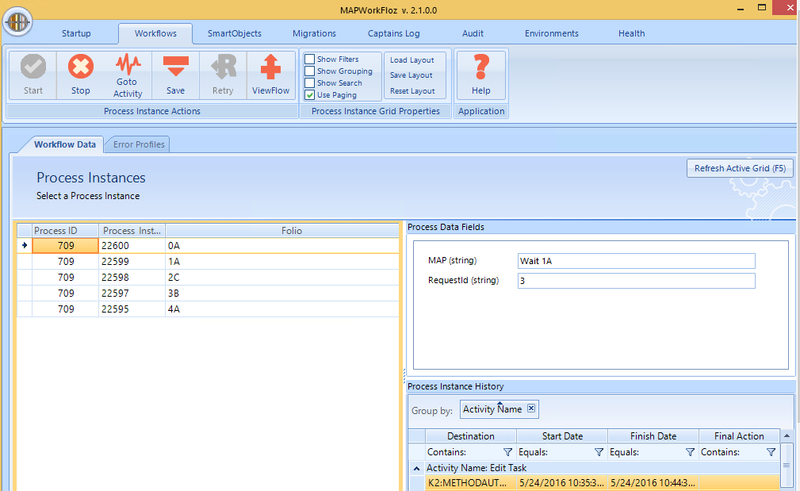 A simple interface to correct process and activity data fields and retry the processes. The flexibility of MAPWorkfloz offers views and granular control of your environment with an easy-to-use interface. Quickly connect to all of your K2 servers. View a version and current status of each environment. Need to view all your workflows? We have it. Need to fix a workflow? We can do that. Search, sort and group your workflows for quick access. Did your workflow stop due to bad data? 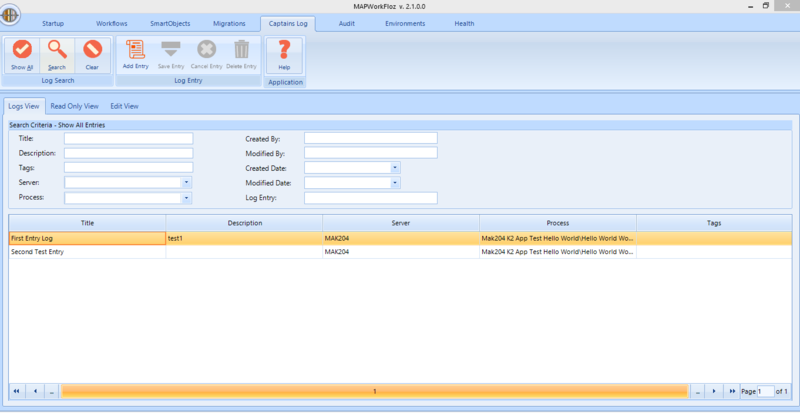 We give you a simple view to find the process instance and fix the data on the fly. Don’t have the time to manually update multiple processes? 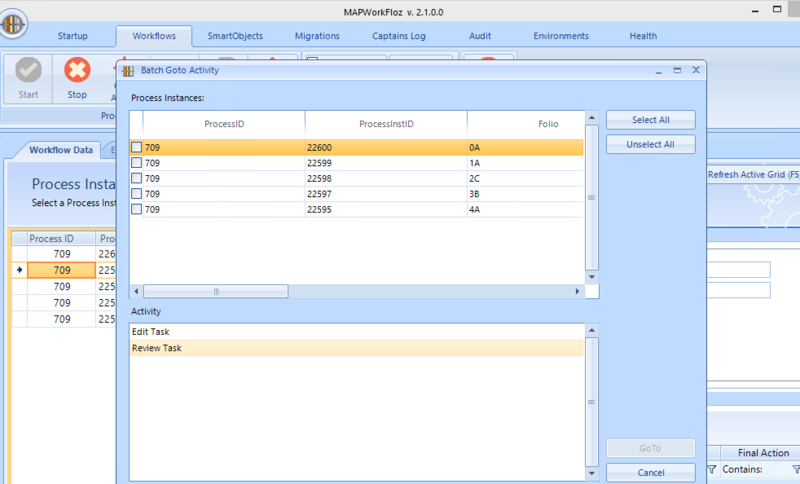 Our batch go-to activity provides a simple interface to select multiple processes and assign an activity. Do you need a quick comparison of SmartOjbects to better utilize past efforts on future projects? 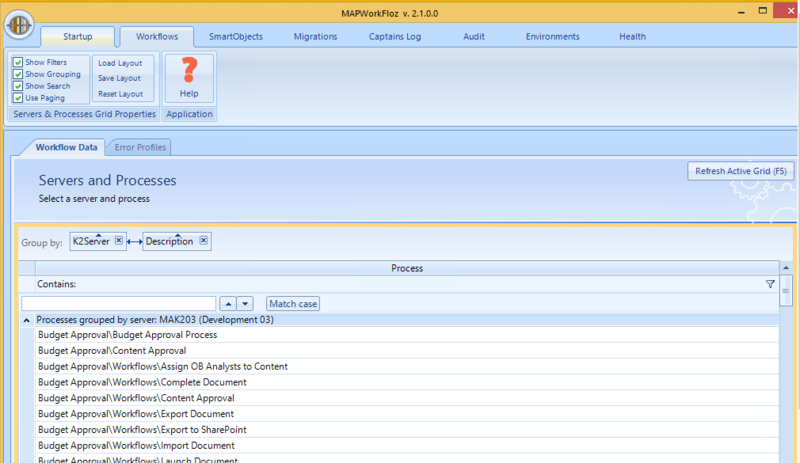 This view gives you the ability to view the properties, document the SmartObject and view the smart associations. Use the captain's log to add detailed information and effectively manage and maintain K2 processes. Great tool for administrator continuity.